On July 17, the Centers for Disease Control and Prevention announced that the first locally acquired case of the chikungunya disease has surfaced in the continental United States. 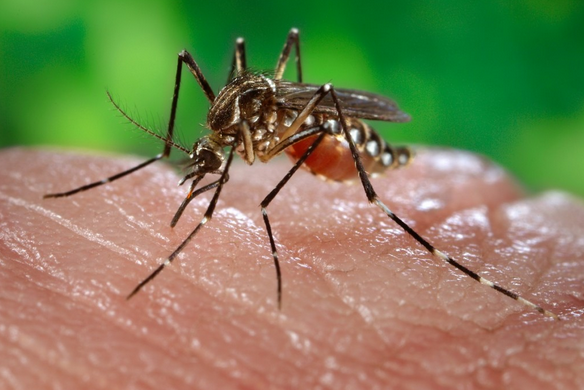 The post below shares how LHDs can prepare for chikungunya. The chikungunya (pronounced “chik-en-gun-ya”) virus has expanded its range into the Western Hemisphere as of late 2013. The virus, which has been known throughout Africa and Asia since the 1950s, causes a disease that has been compared to having a terrible case of the flu combined with an abrupt case of arthritis. It is most commonly characterized by fever and joint pain and could include headache, muscle pain, joint swelling, and/or a rash. The disease is spread via bites of two species of mosquitoes that are present and abundant in the United States: Aedes aegypti and Aedes albopictus, the latter is an alien species that has established itself in our country. Chikungunya disease has been rapidly spreading since its introduction. It has spread in a matter of months throughout the Caribbean and Central America and into the eastern coast of the South American continent. More than 50,000 cases of human disease have been reported through the end of May 2014. Will it reach and become established in the United States? It is virtually certain that it will. We have already seen this happen with West Nile Virus, which entered the United States in 1999 and spread throughout almost the entire country within five years. In fact, at least four cases of chikungunya in U.S. citizens who became ill with after returning from trips to Caribbean islands were recently documented in Florida and Tennessee. Local health departments should expect to see more of these cases as travel to the Caribbean for business and pleasure purposes increases over time. In addition, hundreds of thousands of soccer fans, many from the United States, are expected to travel to Brazil in July for the World Cup. The opportunities for introduction of the virus via infected fans returning from the games will be many. Local health departments are on the front lines to prevent and control the expected introduction and spread of this virus and disease. This is the time for assuring that we as a profession and as a nation are prepared for this new disease. Treatments might only diminish the symptoms; there are no cures. There are also no vaccines to prevent infection. Local health departments will need to rely on traditional public health measures of surveillance, response, and education. Review mosquito surveillance capacities and ability to monitor the mosquito populations, measure for the presence and extent of the virus, and identify human cases. Review and update mosquito control plans and assure that all participants in that plan are capable of responding to findings that would be a trigger for use of control measures. Review vector control education plans for the public, medical providers, and laboratories serving the community. Awareness of the virus and disease, recognition of symptoms, personal measures for preventing mosquito bites, and community measures for eliminating Aedes mosquitoes and their breeding sites are all parts of a comprehensive vector disease prevention and control educational campaign. This post originally ran on NACCHO’s Preparedness Brief blog. For more preparedness news and resources, visit http://www.nacchopreparedness.org. This entry was posted in environmental health, preparedness on July 18, 2014 by nacchovoice.